Whether you are moving to Sheffield or living close by and enjoy going to the theatre you are well served with Sheffield Theatres. 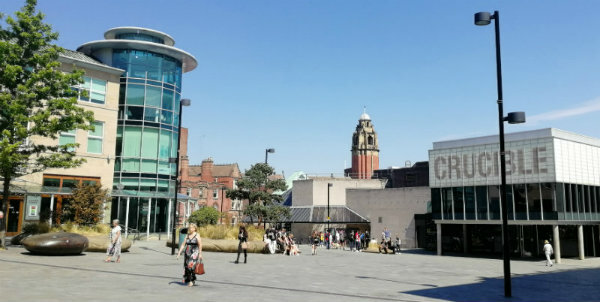 The three main theatres, The Lyceum, The Crucible and The Crucible Studio make up the largest regional complex outside of London and serve up some of the best Evenings Out in Sheffield. Together they host a variety of ‘in-house’ and touring productions. The Crucible is presenting some excellent musical productions this year which include Dusty, Thriller, Songs from the Seven Hills, Flash-dance, Cilla and Fame. Opened since 1971 the Crucible proves to be a popular entertainment theatre and conveniently built in the center of Sheffield with ample parking close by and well served by public transport, both bus and train will take you very close to the theatre complex. It hosts a modern bar and restaurant/café. It has for several years now hosted the Snooker Championships which are televised, and also extremely popular for people to sit in the audience and enjoy the atmosphere. AK Storage Sheffield staff can be seen enjoying the snooker on an annual basis. More evenings out in Sheffield can be had at the Lyceum Theatre which was built on the site of The Great Varieties Theatre which was originally built in 1879. Built in a traditional Proscenium Arch design, it is owned by two businessmen and the local council, in 1998 over £12 million was spent in a complete restoration and both the exterior and interior design was brought up to a very high standard, and is currently a Grade ll listed building. 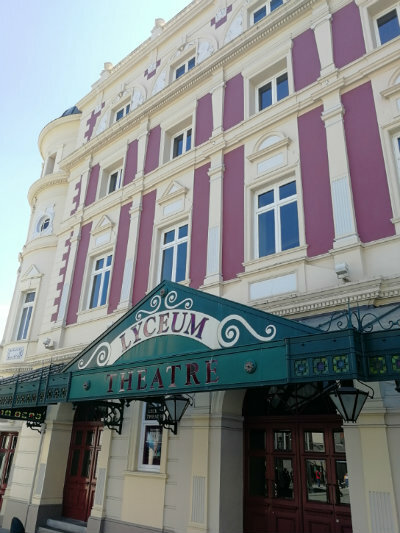 Visiting The Lyceum Theatre is everything you would expect of a large well designed traditional theatre with ornate ceilings and private boxes beautifully carved and tastefully decorated. It hosts a bar and is ideal for a pre-performance drink and a break at interval time to chat or discuss the production ‘so far’. The Lyceum also presents Sheffield’s annual pantomime and for years has attracted both prominent actors and producers in the months between Christmas and Easter. Some of this year’s Evenings Out in Sheffield programme include West End productions of Kiss me Kate, Rutherford and Son and Standing At The Sky’s Edge to name just a few. Sheffield’s Crucible studio concerts take place in-the-round and are core to Sheffield’s nationwide activity. The Sheffield Series plays a vital part in the yearly schedule. In-The-Round is a format whereby the audience is on all four sides of the stage which together with an informal atmosphere provides concertgoers with an unequally intimate experience that cannot be matched by other more formal formats. Some upcoming events for the coming year are Sheffield Jazz- Jean Toussaint all-star sextet. Bach the Well-tempered Clavier. Giddy Goat for Schools and Nurseries, and Rafiki Jazz up close. Between these three main theatres, they offer a varied programme each year with productions to suit everyone. It’s well worth a visit to all three. See you soon for some more great ideas for things to do this summer with the AK Storage team, or perhaps a few more storage tips.